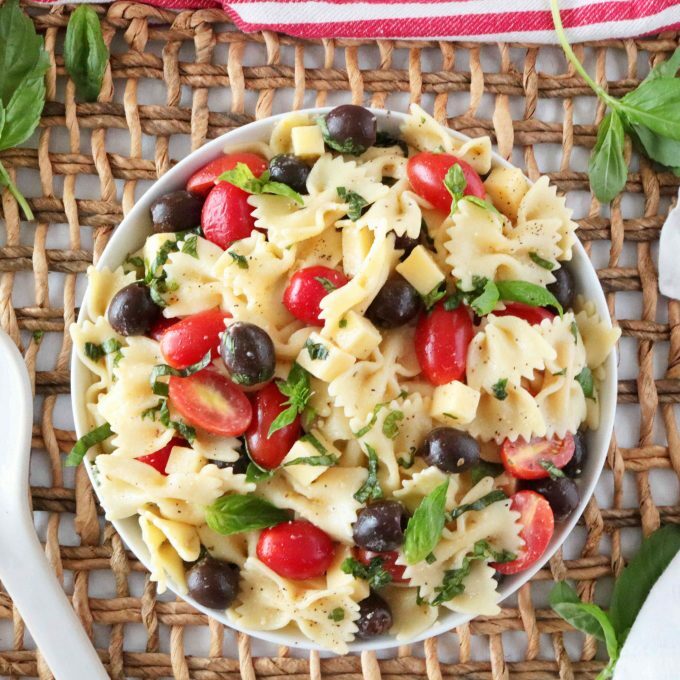 Bowtie Pasta Salad is a simple, crowd-pleasing dish packing tons of flavor and an Italian flare. It comes together quickly with very little prep work thanks to a few fresh and a few ready-made ingredients. This Italian pasta salad features Farfalle, noodles Italian dressing, a mix of colorful vegetables, and Mozzarella cheese. The perfect make-ahead dish for potluck gatherings for both the spring and the summertime! WHAT’S IN BOWTIE PASTA SALAD? You’ll find bowtie pasta in boxes labeled “Farfalle” at the grocery store. Pronounced “far-FALL-lay,” this Italian-coined pasta translates to “butterflies” in English. However, Bowtie seems to be the more common nickname for Farfalle pasta in the United States. This pasta shape is perfect for pasta salad as it tends to trap and hold on to dressings. Note, a little bowtie pasta goes a long, long way. For this pasta salad, you’ll only use about half of the pasta package. WHICH DRESSING TO USE FOR PASTA SALAD? 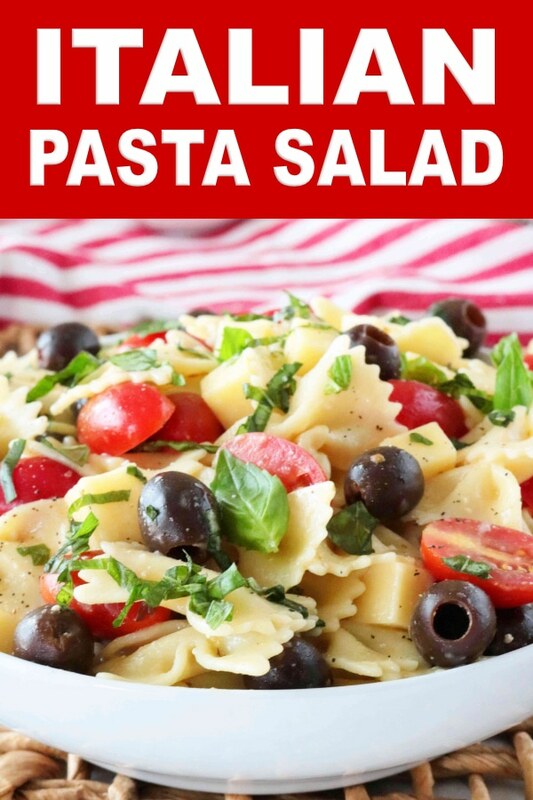 Ironically, this pasta salad features ingredients you would often find on an Italian platter called an antipasto platter. Mozzarella cheese, grape tomatoes, and olives are all perfectly complemented by the tangy flavor of Italian dressing. 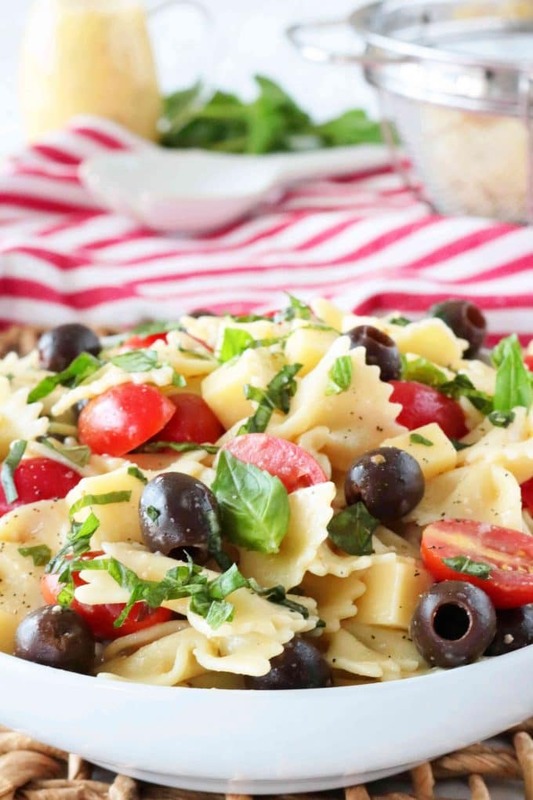 For this Italian Bowtie Pasta Salad, in particular, Olive Garden Signature Italian Dressing works beautifully as it is well-seasoned, rich, creamy and loaded with great Parmesan flavor. This dressing is sold in most grocery chains, but if you’d prefer another Italian dressing to this one, any one will do. Cook the pasta, drain and rinse with cold water until just warm. Transfer to large bowl and dress lightly with Italian dressing. Allow to cool completely. Add remaining ingredients and dressing, and toss to combine. Transfer to the refrigerator to chill. When it comes to pasta salad, mushy is not the texture we’re striving for. Be sure not to overcook the pasta. Cooking the pasta to the point of al dente will ensure it has a nice bite to it. For extra flavor, add a pour of salt to the water before bringing it to a roaring boil. Then, cook the pasta according to package instructions. Once the pasta is cooked, you’ll drain it and rinse it under cool running water. Rinsing the pasta will help it to cool down faster and speed up the remaining preparations for your Bowtie Pasta Salad. As soon as the pasta is lukewarm you can add it to a large bowl and dress it with a portion of the Italian dressing. The warm pasta will absorb the dressing and add even more flavor to the noodles. Allow the pasta salad to cool completely before adding the remaining ingredients, particularly, the cheese. 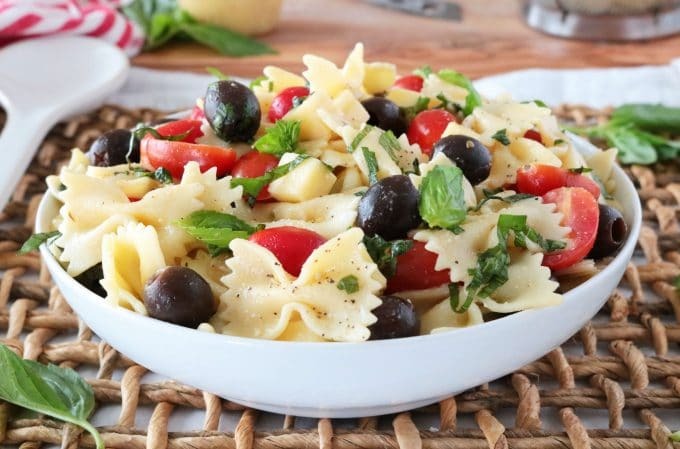 One of the best parts of this Bowtie Pasta Salad are the bites of diced Mozzarella cheese, especially after it has had ample time to marinate in the Italian dressing. More on this below. If you are not a fan of tomato seeds, you can seed the tomatoes by turning them upside down and squeezing them, but this is not necessary. Once the pasta salad has cooled completely, you’ll add the remaining ingredients (including the remaining dressing) and toss to combine. Chill the pasta salad for at least 2-3 hours. Pasta salad should always be served cold, and bonus, that extra time in the refrigerator will allow flavors to mingle. If you’ve never had marinated cheese, get ready to have your taste buds rocked. Bowtie Pasta Salad can be made up to a day in advance. If you’d like the basil to stay bright green and vibrant looking, wait to add until the day you are serving it. If you find the pasta has absorbed too much of the Italian dressing come time to serve, feel free to add an extra drizzle and toss before serving. Kid-Friendly Pasta Salad is perfect for feeding little ones! With tortellini pasta, peas, green beans, and Cheddar, you’ll find this delicious salad is just as popular with the grown-ups as it is with the kiddos! 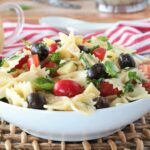 A quick and easy Bowtie Pasta Salad with Italian dressing packed with flavor and Italian flare thanks to a few fresh and a few ready-made ingredients! The perfect make-ahead dish for potluck gatherings come spring and the summertime. Bring a large pot of salted water to a roaring boil and cook the pasta to al dente according to package instructions. Drain and rinse under cool running water until just warm to the touch. 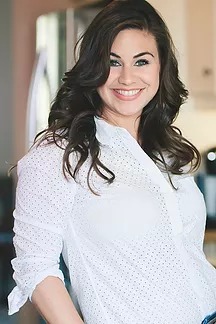 Transfer to a large mixing bowl and toss with a 1/4 cup of Italian dressing and a generous pinch of salt. Set aside and allow to cool completely while you prepare the vegetables. Add the tomatoes, Mozzarella, olives, and basil the bowl, along with the remaining 1/2 cup of Italian dressing. Toss to combine and season to taste with salt and pepper. SOURCES: The Spruce Eats | What is Farfalle?